Twelve South last month introduced its newest product, the AirSnap case designed to work with Apple's AirPods. Priced at $29.99, the AirSnap is made from a supple, full-grain leather that molds around the AirPods for a perfect fit. The fit is tight enough that I had to put a little effort in to stretch it to snap the case shut, but like all leather, it will loosen over time. Expect it to change in color too, because as you use it, it develops a patina. 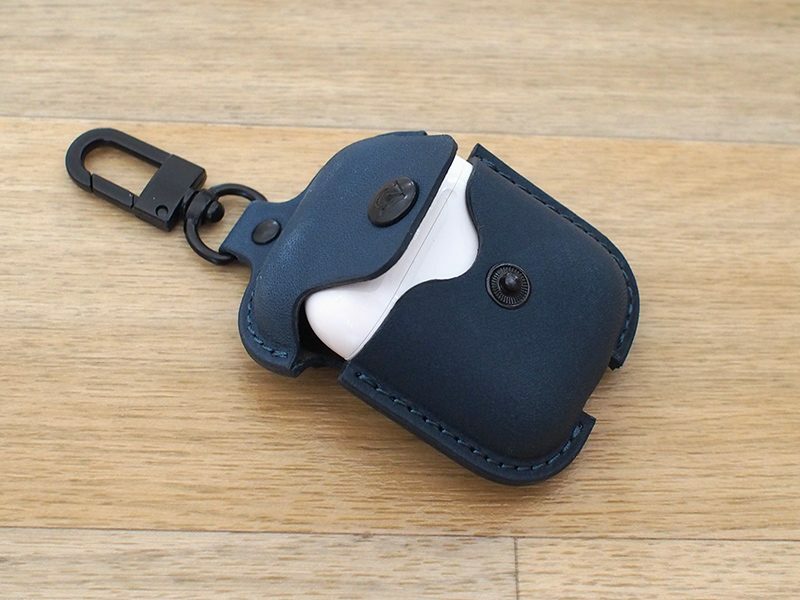 Twelve South makes the AirSnap in deep teal, black, and cognac, colors that match its iPhone case lineup, so if you're aiming for a matching look, it's possible with the AirSnap and a Twelve South case. These colors also aren't too far off from several of the colors of the leather cases that Apple sells. The AirSnap features a main pouch the AirPods fit into, with a snap closure to keep the case closed for protection. The stitching around the case is well done and professional looking, and at the top, there's a loop for a metal swivel clip. There are two slits at the back to allow the top flap to open, and an AirSnap logo at the back. A cutout at the bottom for the Lightning port enables charging while the AirPods are in the case. Because of the Lightning port cutout and the snap-open flap that can be pulled back to get to the AirPods inside of the AirSnap, there's no need to remove the AirPods case from the AirSnap. You can put the AirPods case inside of the AirSnap and leave it there indefinitely, which is convenient. The snap can add an extra step, but I found that the act of unsnapping the AirSnap almost always opened up the AirPods case so there was no friction getting to my AirPods. Similarly, closing the top flap of the AirSnap also closes up the AirPods case, so all in all, getting to the AirPods inside the AirPods case is similar to the experience using them without the AirSnap installed. 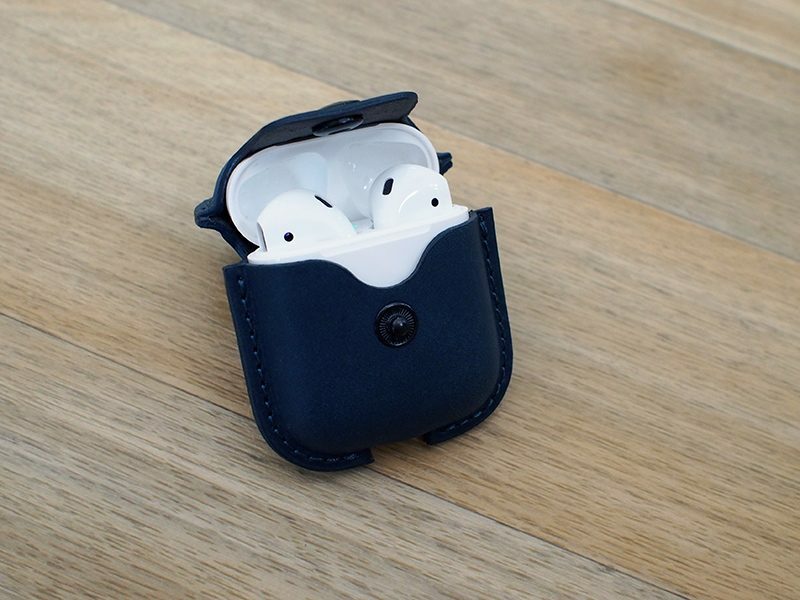 With the AirSnap protecting the AirPods case, it's going to be safe from scratches, and the included clip at the top also has the potential to keep the AirPods from getting lost inside a bag or backpack if you don't mind the risk of loss or theft. 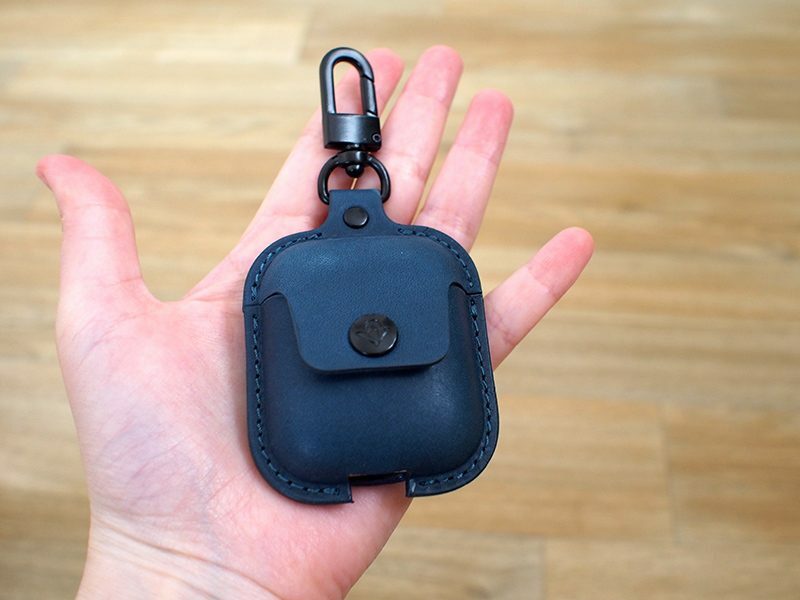 Many of Twelve South's marketing materials and images show the AirSnap clipped onto the outside of a bag, which is definitely something I'd be hesitant to do. The AirPods have a recognizable shape that isn't hidden by the design of the AirSnap, which invites theft, and all clips can be prone to breakage. There's no way to lock the clip once it's attached to a bag, and it also seems like it could be easy for it to accidentally come unfastened. That said, there are some bag and backpack options that have a clip for a set of keys inside the bag (usually attached to a long flexible cord) and in that situation, the AirSnap can be clipped safely inside where it's easy to find and not vulnerable to being lost. I didn't have problems with the clip while I tested the AirSnap with my AirPods attached to my purse, but I did read about someone who used the AirSnap clip and had it fall off their bag (or get stolen), resulting in lost AirPods. I'd feel a lot better about the clip if it weren't so easy to unclip, but it just takes a simple little press to get it unclasped. I did, however, appreciate the swivel mechanism, which made it easy to get to my AirPods inside the AirSnap. It seems counterintuitive to put a case inside a case, and I've never worried about my AirPods case scratching, but based on a few searches, it's certainly a concern for some people. There have been many complaints about the AirPods case scratching, and that's something the AirSnap puts a stop to. 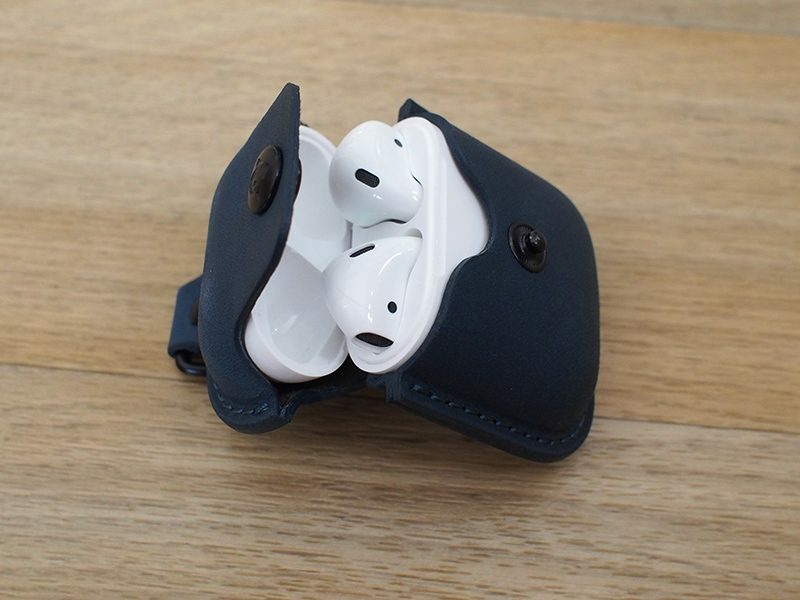 AirSnap will also prevent the AirPods from getting dirty inside a bag or a pocket because of the protective cover, so if you often have the AirPods Case floating around inside your bag, AirSnap is a good way to prevent damage. I think the clip is useful, both for finding the AirPods in a mess of other items in a bag (it's easy to grasp) or for clipping inside of a bag so it's always easily locatable, but I'd use caution attaching it to the outside of a bag. Aside from clip design, the AirSnap is a great little case that's well made and seems worth the $29 asking price for those seeking a good quality AirPods case. 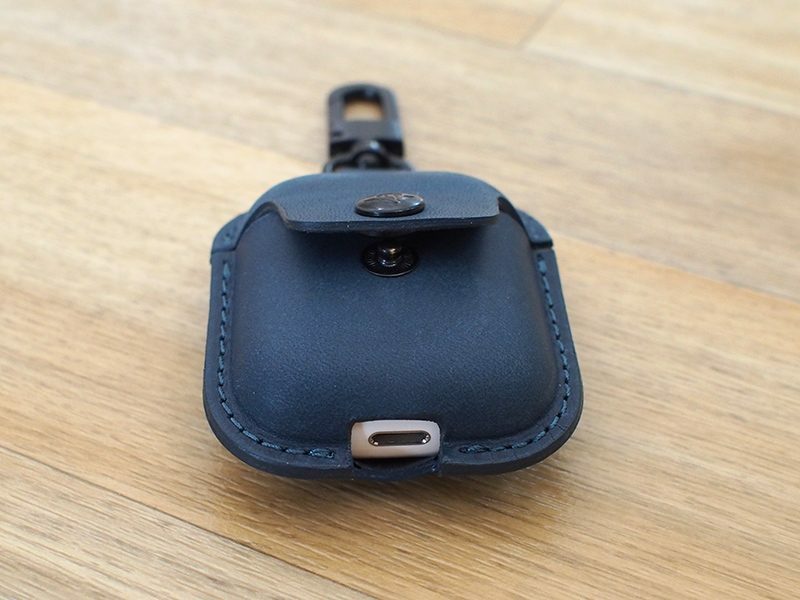 The stitching looks great, the snapping mechanism is both secure and simple to use, and the Lightning port cutout offers easy charging access. I'd expect that the AirSnap will work with the wireless AirPods charging case that's set to come out alongside the AirSnap. It's presumably using Qi wireless charging, which is able to work through cases as iPhones and other smartphones have demonstrated. 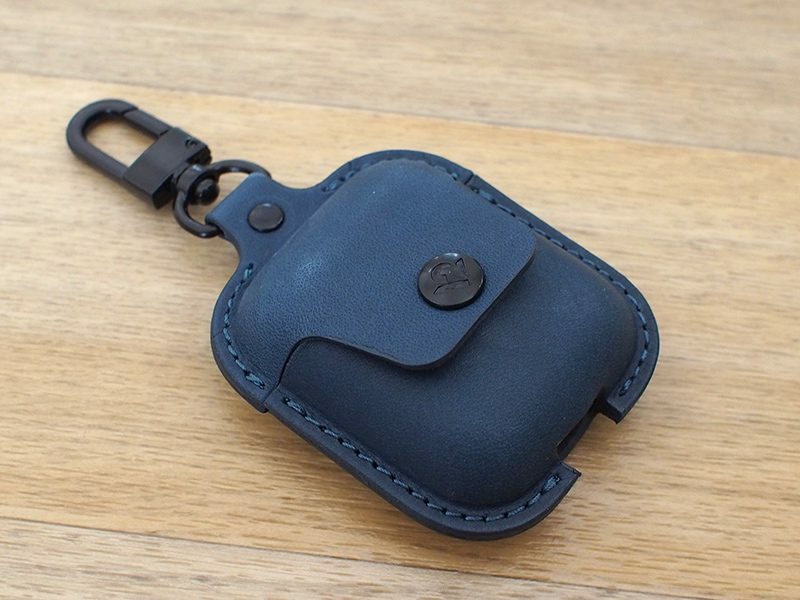 The AirSnap can be purchased from the Twelve South website for $29. Note: Twelve South provided MacRumors with an AirSnap for the purpose of this review. No other compensation was received. This time around I accepted the fact my AirPods case will scratch like there’s no tomorrow and my AirPods will occasionally fall, being clumsy as I am. The AirPods “case” isn’t quite a passive case but an electronic device in itself, which is understandable that people may want to protect. But more than that: it adds a hooking point so you can attach your AirPods to something and hold to them better. Bonus: that little lid snap might just be enough so that even if you drop the case, your AirPods won’t fall out of charging case, which I had happen to me, and resulted in me not knowing I had lost them for some hours, luckily I was able to get them back. Cool idea, my AirPods have been falling out of my watch pocket in my jeans lately. Makes me want to my hand at re-creating this with my laser cutter. Well I have just got the brown one.....and altered the colour slightly with Dark Tan boot polish. It is great; glad I have it. I know Twelve South makes high-quality products, but $29? Seriously? Wow. They came up with a solution to a problem nobody knew they had. Lol what? Do you have any idea how rare full grain leather is in most consumer products? On top of that, the finishing looks to be on point. I would have priced this product at $50.